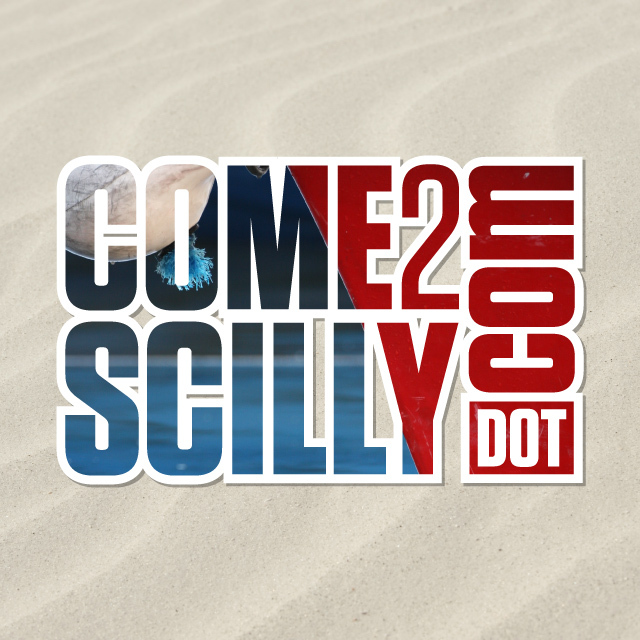 We have just been asked to market a property that, quite frankly, is just what the Isles of Scilly is all about. 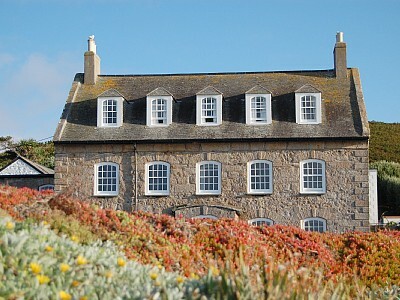 Newman House is situated below the Garrison next to the Charles' Battery and facing Bryher and Tresco. 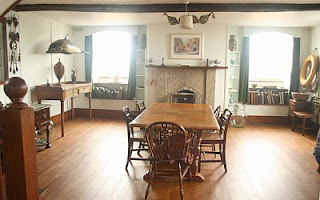 This property, that was built in 1718 as the Garrison storehouse, sleeps 7/11 and is ideal for larger family get togethers, film crews, groups of divers, photographers, artists, birdwatchers or any large gathering that will appreciate this period property that is a family home. With an electric Aga style cooker, that is the centre of the home, the house is centrally heated using night storage heaters and making it ideal for those out of season breaks that allow you to participate in a different side of Scilly. This property is available for longer lets during the Winter months which makes it a terrific base for indulging in the creative arts such as writing, painting, photography, birdwatching, or simply soaking up island life while watching the continually changing seascape. Spring, Summer and Autumn each shed their individual light on Newman. Just walk from the front door across the old battery garden to the rocky foreshore that overlooks St Mary's Roads and the exhilarating views will stay with you for a lifetime....Scilly at its very best! Between March and October on clear evenings, stunning sunsets will make the perfect end to your day, particularly when the evening is warm enough to barbecue in the garden. Newman House is a family home, and as such is filled with family and island history that will add and extend the enjoyment of your island holiday. With Garrison walks on your doorstep and only a short walk of the quay and all the amenities of Hugh Town we feel sure that this holiday home will tick all the boxes.